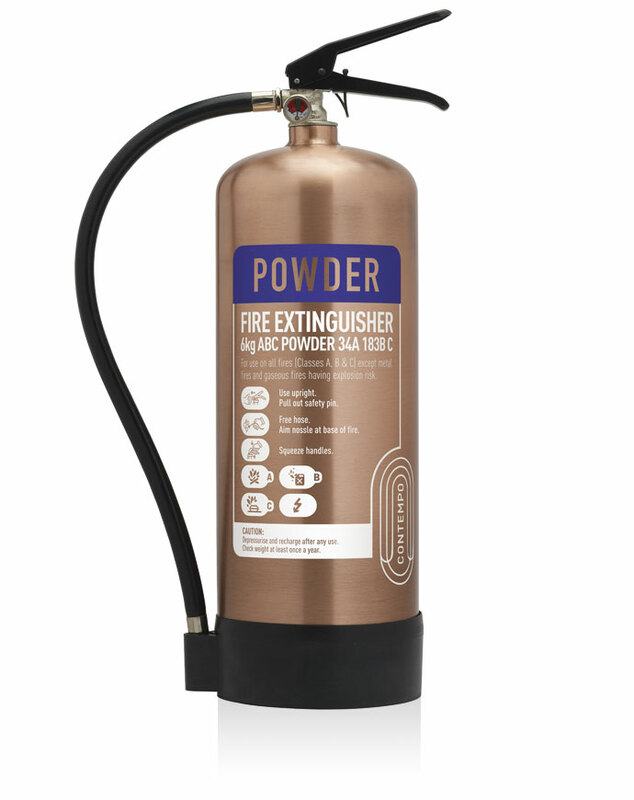 For a versatile ABC fire extinguisher, this powder unit not only provides a practical solution – its sleek design brings a striking aesthetic to any premises. 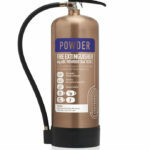 This 6kg powder extinguisher has a beautifully on-trend copper finish to complement contemporary or traditional interiors. 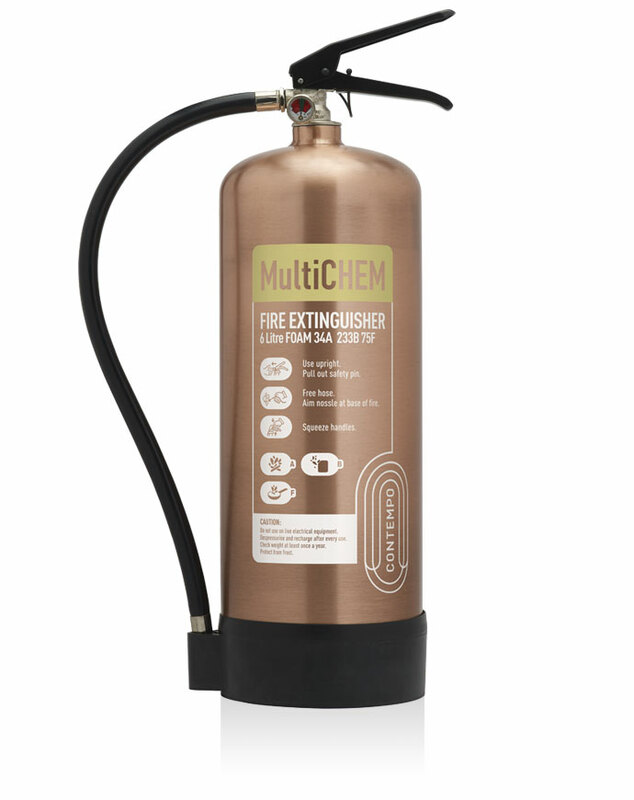 It has a fire rating of 34A 183B and is the ideal solution for spaces likely to be at risk of Class A (combustible materials), Class B (flammable liquids) and Class C (flammable gases) fires. 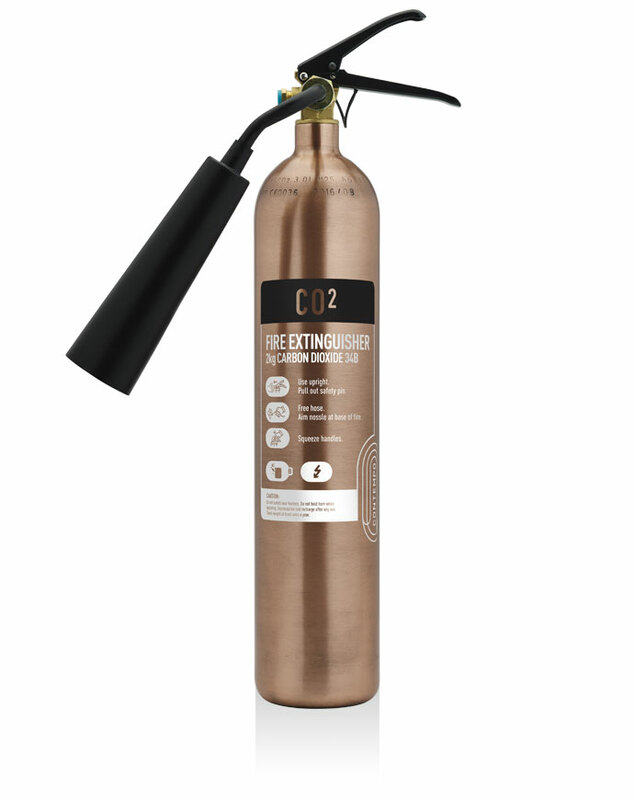 We also have matching brushed antique copper tubular stands and ID signs available for a truly elegant, unified look.